Nonverbal World - All about Nonverbal Communication: Would aliens have emotions? Have you seen flying saucers till date? Did UFOs ever chase you in dark nights? Have greys have tried to contact you telepathically? Have you ever met with extraterrestrial aliens, face to face? Have aliens abducted you, your family members, friends, your town’s mayor or beloved dog? Most of us may not be able to answer these questions because of no direct sightings of or encounters with the third kind. Whatever entire world knows, perceives or thinks about aliens is product of stories shared by those few thousand people who have witnessed, experienced or gone through sightings, contacts, visits, meetings, mind control experiments, under-skin implants and abductions. Neither I’m an authoritative figure of this extraordinary subject nor have any intentions to deny claims made or evidences produced by people. 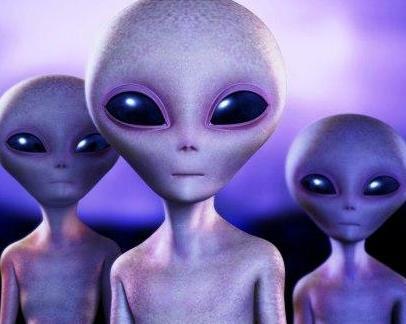 Since I’ve not encountered aliens till date, I think that it’s better not to comment anything about same over here. If it is so then why an article should be written about them at first place? Well! Sole purpose to write this article was to challenge our thought process, best knowledge and imagination to find answer of a great question - Would aliens have emotions (like us)? If yes then how they might be expressing them? Exactly like we do or differently? Emotions are or can be expressed on face only is a grave misconception at first place. When we talk about aliens or extraterrestrials then two contrasting images of them come in our minds - one is of invading, aggressive, experimenting and exploiting creatures and second is of friendly, prophesizing, helping and warning beings. Science fiction movies, TV serials, novels, articles and witness interviews have added to both images on an equal scale I guess. Still, it’s very important for all of us know that whether they are emotional beings like us or not. Emotions drive us and make to act because they are nothing but survival strategies. With emotions and feelings, we wouldn’t be anything but robots. 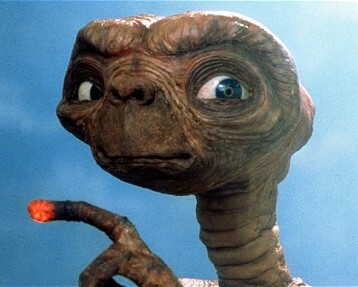 Few months ago, I saw a very interesting episode of famous Through the Wormhole TV serial - How do aliens think?. In that episode, there was a small section entirely dedicated to emotions, their perception and expressions. According to one speculation made in it, aliens might be having emotions. It was very humorous to see mourning and boozing aliens. It was not really meant to be a serious statement about emotions in aliens but giving humorous touch to serious scientific information. Still, it’s a thought provoking speculation - ultimately making predictions about outcomes of interactions between us and aliens. We cannot prove about emotions in aliens until we don’t observe their nonverbal behavior or body language systematically. If there are intelligent alien species out there in universe who might have evolved on their home planets then they might have few traits, instincts and qualities that match with what earth bound creatures should have. Even if those extraterrestrial beings might have evolved in entirely different ways or would have strange genetic blueprint then still emotions might have evolved into them - if not all seven basic emotions then at least few like fear and anger. I'm personally doubtful about emotions like happiness, disgust, sadness etc. being present alien biological species. Body can increase and decrease blood supply based upon different emotions. Fear is most ancient and a prevalent emotion which was evolved in all living creatures on earth and plants also might have similar kind of reflex. Fear is what make any creature to avoid getting harmed or killed by predators, adverse climate, illness, competition, alienation, resource depletion etc. Why it might be a primary behavioral reflex because it served core purpose of survival and continuation of species. Don't you really think that technological advancement is also a positive product of fear? All reflexes, emotions, adaptations, traits and qualities are and should be supportive to survival of any species. Was fear sufficient for survival? Ancestral creatures had to shed fear and attack, chase and retaliate and kill somebody to survive. Hence anger should be another powerful emotion in ancient natural world. Anger is exactly opposite to fear but still has physiological implications similar to that of fear. Emotions like sadness, surprise, happiness, disgust and contempt might have evolved when our remote ancestors required developing them for overcoming different environmental, physical, dietary and social challenges. So if any biological species has evolved (to survive) in its local environment over a significant amount of cosmological time facing survival challenges then it must have something like all earth bound creatures do i. e. senses, reflexes, emotions, temperaments, traits and defenses - physical, mental, psychological and technological. I personally think that if aliens are non-biological robots or purely spiritual entities then they shouldn’t (feel necessity to) leave their planets if they are running out of resources, facing extinction, caught it ecosystem collapse or having their planets on the verge of doom. Only if they want to survive, evolve and expand their horizons then they would venture into an outer space. However, if any species wants to be more advanced (in comparison to others), it has to be able to monitor emotions consciously and remain composed most of time so that physical, psychological and mental efficiency and capacities could be enhanced and multiplied beyond normal levels. Hence if any alien race is far more advanced, harmonious than us and essentially has succeeded in surviving from their own mistakes then members of that species might be able to control and suppress their negative emotions and corresponding bodily expressions consciously. This is exactly what Neocortex supposedly does inside our brain i. e. advanced and energy hungry circuits that monitor emotions and try to regulate them. Friendliness in aliens is what we can only hope about. What if alien creatures are neither fearful nor aggressive at all? What would drive them to find and make contact with us at first place? It should be curiosity, explorativeness, courage, generosity, empathy and helpfulness only. This is exactly what we all want to look into extraterrestrial aliens only for continuation of our race and all other creatures that inhabit this unique planet in known universe. 1) "Nonverbal" is alien way of communication?